Hunter Hammersen’s books and designs are deliciously quirky and I am besotted with her new book. Using vintage etiquette guides as a springboard for a design collection, she gives us a book of tantalizingly delectable, mostly-lace accessories. I will leave it to you to read the giggle-and-snortworthy quotes Hunter used from her collection of etiquette guides from the 19th and early 20th century. The designs that captivated my etiquette-challenged heart are Treacherous Winds (a little-bit of a lace scarf lined with tiny buttons to secure it if need be), Women Are Usually Obstinate (socks using a small shell lace pattern), Faultlessly Neat (truly lovely knitted slippers), Essential to Perfection (twining leaves and eyelet socks), and Perfectly Finished in Every Point (short cuffs or mitts, ribbed to a point and buttoned on). It’s not just patterns that are fantastic, it's the whole package: the size and heft of the book (hardbound, of course), the uncoated paper, the printed endpapers, the lush photography and, wait for it, the ribbon bound in to mark your place. Luscious. 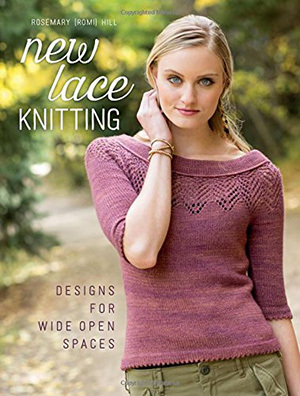 Long time friend of Knitty and uber-talented designer, Romi Hill brings lace to life in her first book. Lace is often thought of as fancy or for special, but Romi makes it part of every day. She gives us sweaters, dresses, cowls, hats and yes, of course, shawls. Her designs are beautiful; the lace is integrated, matched perfectly to each piece and looks effortless. But we all know how much work and skill is involved in making something look easy and making patterns easy to knit. The chapters each feature a particular style of lace: Waves and Ripples, Diamond Fantasia, Leaf and Trellis, Twin Leaves, Wind and Shore and Twining Lilies, with three patterns each. You may be tempted to jump right into the patterns, but do your lace-knititng-self a favor and read over Romi’s 10 Rules for Knitting Lace at the front of the book. They will help buoy you along on your lace-knitting journey, especially if you hit a snag. I have been a fan of Romi for many years and would describe her style as exquisite simplicity. All of her lace is beautiful, but never too precious or hard to knit that you wouldn’t wear it. Her patterns are so well planned and executed that they are a joy to knit. For example one of my favorite patterns in the book is the Salt Grass Pullover, a pattern in the Twin Leaves chapter that has all-over lace including sleeves and shoulders that are a continuous lace motif. It also has 10 different charts (some are tiny). Am I daunted by all of this? Nope, the sweater is so beautiful and the pattern and charts so carefully and clearly executed that I have no trepidation in jumping right into this. Other patterns that have my fingers twitching are Talus (a cardigan that combines garter stitch and wavy lace), Oak Flat Road (a shawl with an all over small leaf pattern that has a stunning edge and spines), and Secret Cove (a simple cowl with a tiny bit of ruching and wide lace border). This book takes a fresh look at Lopi knitting. 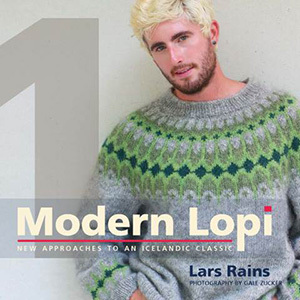 Through 12 patterns that are mostly sweaters, Lars Rains traces his personal history with Icelandic knitting. From his very first pattern through his latest design, Lars has created a unique approach to Icelandic knitting. Sure the basics are there: the Lopi yarns, the yoke style of sweater design, the multiple colors, but he absolutely makes them his own. Some of his sweater designs are oversized and some are more fitted. He plays with the dimensions of the yokes in sweaters, sometimes bringing them way down almost to the elbow. He plays with pattern, using his background in twentieth-century music as inspiration. He plays with texture, using the reverse side of the knitting, displaying the stranding, which gives the pieces a visual fluidity and softness, like when sitting in a train and seeing the landscape speed past. His use of color is joyful, brighter than I’ve seen in a lot of Icelandic knitting. My favorites are Runtur, Hildur and Asymptote. Be sure to read all of Lars’ words in the book, he is eloquent and passionate on this subject, clearly dear to him. 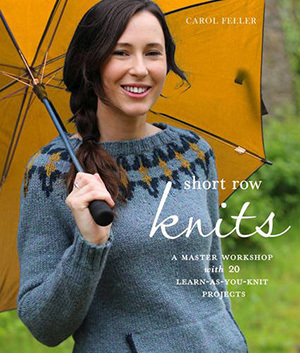 Short Row Knits: A Master Workshop with 20 Learn-As-You-Knit Projects. Short rows are one of those techniques that spook a lot of knitters.Good thing those knitters have clever Carol Feller on their side. Short Row Knits breaks down what short rows are, four different ways to do them, exactly how and why they are useful and has 20 patterns that use short rows in different ways. The book is split into three main lessons with swatches. 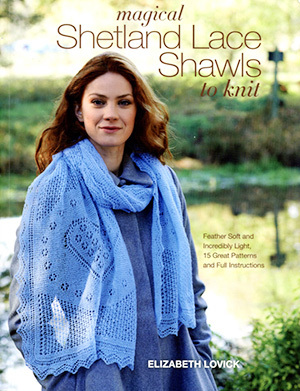 She starts with four different ways of doing short rows, with illustrations of how to do them both in knit and purl. She shows how each style (wrap and turn, Japanese, yarn over and German) look in stockinette, side by side in a photo. Until I looked at this photo I didn’t really think there was much of a difference between them. Then she moves on to shaping with short rows, using them to shape accessories. The last lesson is the big one, using short rows to shape garments for a design feature or to get a garment to fit your body exactly the way you want it. Between each lesson, there are several patterns that employ the use of short rows. While each pattern calls for a specific type of short row, Carol insists that a knitter could use whichever method they feel most comfortable knitting. 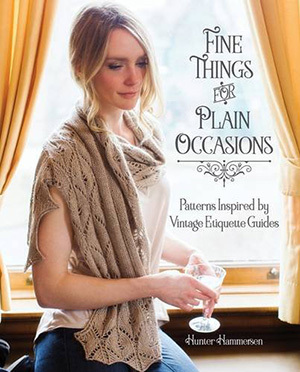 The patterns would make as a gorgeous book even without the short row lessons. I like Carol’s easy to wear and wonderfully pretty designs; I like them even more because they don’t scream, ‘hey, I’m using a short row right here. They just have a graceful hem, better fit or interesting shape. I’ve already queued Riyto, a slouchy, textured sweater with a curved hem. 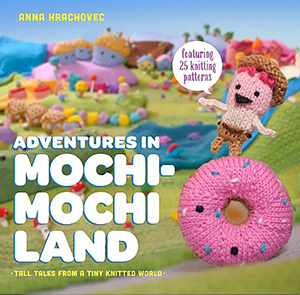 Instantly familiar to anyone who’s encountered one of Hrachovec’s first four books, the occupants of Mochimochi Land set out here on storybook adventures. Three adorably photographed tales are featured: The Hungry Donut, The Underwater Election, and The Lighthearted Lovers. Each story is worthy of its own picturebook. Suitable for bigs and littles, the delight just pours from the pages. This fully-realized land has many kinds of geography, from the Soggy Sea to the Woolly Woods, from Carnivalville to Muffin Mountain. Each is populated with dozens of knitted characters, bright, colourful and cheerfully squishy. So much cleverness and artistry has been applied here to all the details that these lands seem not only plausible, they surely must exist. I have yet to knit a magical, mythical Shetland shawl. I have used a lot of elements and traditional Shetland pattern stitches in my knitting, but I’ve never from start to finish knit a whole Shetland shawl. This new book by Elizabeth Lovick might just change that for me. I never get tired of reading about Shetland, and the history of Shetland lace at the front of the book whet my whistle to be excited to knit something with so much history. Shetland shawls are intimidating to me, and I was excited to see the section of the book called Apprentice Pieces, a selection of 5 mini shawls so that youc an practice the different shapes and patterns. Smart. The 15 full sized patterns are all lovely, and helpfully categorized not by difficulty but concentration level (1-3). I find myself gravitating to the more traditional looking shawls (concentration level 1 or 2): the inside out Everyday Baby Shawl and the Circular Shawl, though the level 3 Cobweb Shawl is singing me a little siren song. Though I will probably never knit them, the Heirloom Shawl and Heirloom christening set both made me gasp. I spent a lot of time just looking at the knitting and the charts. They are both a concentration level 3 and magnificent. The back of the book is filled with techniques: how to read a lace chart, choosing needles and yarn, casting on and joining, dressing your shawl and an excellent section on recognizing and fixing mistakes. The book finishes with a section on how to wear the different shawl shapes. This is wonderful book with an amazing amount of information packed into it. 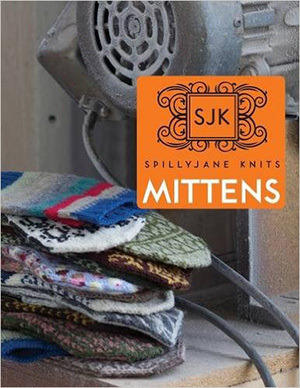 SpillyJane’s mitten patterns are beloved – and for good reason. Her colorwork designs are witty and charming. The book begins with a clear and helpful introduction to her mitten construction, tips for working with multiple colors – including fixing mistakes – and guidance on yarn choices for best results. 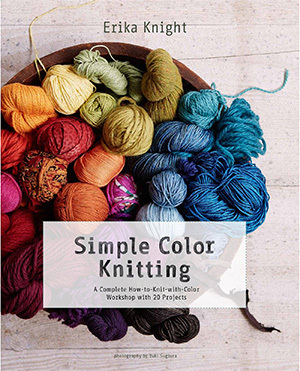 Perhaps most crucially, the book offers advice for dealing with all the yarn ends that inevitably arise from colorwork! It’s sure to be popular amongst colorwork fans and mitten makers. Rarely does a knitting book make me feel calmer and more present and in touch with my life, but this is that kind of rare book; not just with my creative life but with life all around me. This book is a continuation of her now famous Knit the Sky scarf, a knitting project that encourages you to notice and engage with your surroundings. Every day for a month you notice and knit the color of that day’s sky into a scarf. At the end of that month you have a record of that month, a new scarf to wear and more importantly a greater appreciation of the world around you and how it can relate to your creativity. 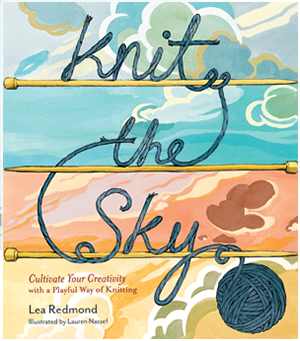 This book is filled with projects like Knit the Sky, to get you to notice and engage, sometimes projects to help you let go. Mostly they are project to do yourself, but a few require the interaction and celebration of others. The ideas are wonderfully creative and playful things like Walk Around the Block (knitting the colors of the houses on your block while you interact with your neighbors) or Quantum Entanglement (a knitting project to do only while you are waiting on something big and specific), or my favorite – for today – Knit 1, Breathe 1 (a knitting meditation: knit for a set amount of time focusing solely on your knitting; when your time is up, so is your knitting and you rip out all of the knitting from that session). Just reading this book put me into a different flow mentally and creatively. The illustrations are spectacular and so perfect for the book, I can’t wait to start my own journey with it. Even before I was a knitter, I was obsessed with cables. I loved the swirls and motion the idea of things coming together and apart. Once I started knitting, that is where I gravitated – texture and cables. Up until pretty recently, most cable knitting has been the aran variety: molded, toothy cables, all over a garment. Don’t get me wrong, I love a good Aran sweater, but I also love what designers like Heather Zoppetti are doing by mixing and freshening it up. Her book could have easily (but awkwardly) been called A Breath of Fresh Air Cables because she approaches them just a little differently. The book is broken into three parts: Refined Cables (the Aran type of cable), Lace, (lace and cables) and Abstract (interesting use and placement). Heather has great cable chops. If you are looking for something in a more traditional style cable, look at the Maytown Vest or Rapho Socks. Both have that carved-looking cable style, but used in a modern way without looking heavy or dated. Want your cables a little lighter or more feminine? Ttry the lace and cable Talmage Pullover or Safe Harbor Cowl. My favorite section is Abstract, using cables just a little differently, like isolated cables with just parts that wrap around like in the Penryn Pullover or the Drumore Socks, or cables as part of interesting shaping like in Holtwood Vest or Fulton Shrug. 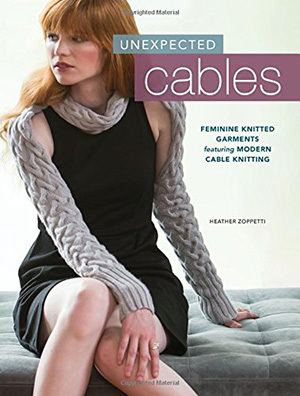 No matter how you like your cables you’ll find something in this book to knit. Ah, the humble sleeve cap, certainly my biggest point of knitting freak-out and I don’t think I’m alone. This book is genius. It’s not the first or only book to tackle top-down set-in sleeves. But it is the only book that I’ve read that once I had finished reading and thinking about it, I felt ready and confident to try. The book starts by explaining all about sleeve caps, how they work and why they are important. Elizabeth even sketches out how flat sleeve caps work to have a frame of reference. Then she explains in very articulate detail and illustration how to make excellent top-down set-in sleeves. She talks briefly about fitting a set-in sleeve sweater in the front of the book. I first wondered why it was brief until I saw the dozen or so pages about making modifications in the back of the book, including adjusting for gauge, stitch and row, and a great section on adjusting fit. 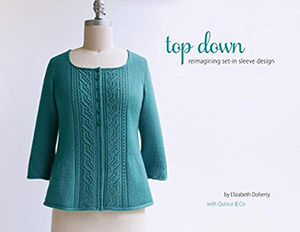 There are six sweater patterns in the book to try your hand and knitting brain at top-down set-in sleeves. They are exactly the type of sweaters that I want to make multiples of, basic and with, of course, a great fit. I read this whole book and I feel like I have barely begun to understand all that I can learn from it. There is so much great and practical information about fit in this book, it’s a little overwhelming to read it all in one sitting. The best thing I took away from the book is a shift in thinking. Deborah Newton comes from a sewing and costuming background where every single item made is adjusted to fit and that process is no big deal. She says to think more like a garment maker and less like a knitter who simply knits a pattern as presented. She stresses questioning and examining every aspect of a sweater pattern from size, gauge, yarn and style before starting to knit. She walks you through what it means to her as a designer and garment maker to get a good fit: your measurements, ease and knitted fabric, your figure type and how to play up or play down any part of your body, sweater shapes, how to adjust and change knitting patterns to suit how you want a sweater to fit you. All of this is done with words, illustrations, photographs and sweater patterns. It’s the type of reference book I’d like to run off and hide with for a month or so to knit my way through. 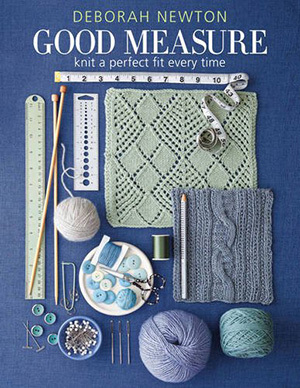 If you’ve never knit a sweater that you feel fits or suits you, pick up this book and it may just change the way you think about knitting patterns. 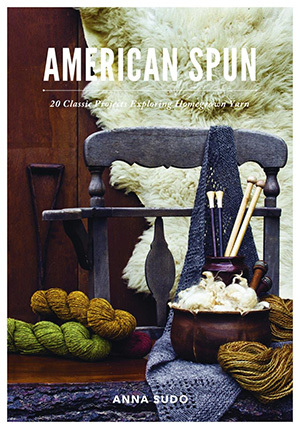 Knitter and designer Anna Sudo features U.S. yarn in her new book, American Spun. Most of the yarn is U.S. grown, processed, spun and dyed; some just dyed by talented color artists. All of the yarn and companies featured are standouts in the new yarn movement. Similar to the farm-to-table movement in food, this sheep-to-needle movement in knitting is popular, but a long way from hitting its stride. More knitters and other fiber artists and craftspeople want to know where their wool comes from and Anna celebrates this in her writing and designs. She features well known companies like Brooklyn Tweed and Harrisville Designs, up-and-coming companies like Jill Draper and Pigeon Roof Studios, those companies more people should know about like Elemental Affects, Frabjous Fibers and Spincycle Yarns, and some new to me companies like Sheeps and Peeps Farm and Done Roving Yarns. There are 19 patterns that showcase the yarns of 15 companies. Anna has an excellent eye for designing to make a particular yarn sing, nothing too fussy or complex and with a look that is never likely to go out of style. Favorites of mine are Gannett Mitts out of Brooklyn Tweed Loft, Chenango Rug out of Rock Garden Alpaca Bulky/Rug Yarn and Coeur D’Alene pullover out of Lakes Yarn & Fiber Targhee Worsted. Anna also gives voice to the yarns themselves by interviewing the yarn producers and dyers. I will never get tired of listening to fiber people talk about their yarns. It gives me a deeper appreciation of the yarn I knit with. I was skeptical when I got this book. Quick cowls mean bigger yarn, which doesn’t leave a lot of knitting real estate for much variety, but I was happily surprised. The average needle size is in the US 8-10 range, thought there are a few that use US 6 and one that uses a US 3. There are two Cascade yarns used in the book, both merino/alpaca blend. I was happy with the assortment of cowls, short or long and wrapable with chunky texture, eyelet and lace, and stripes and blips of color. It’s a fun book to flip through and plan quick gifts for friends and family. With 60 to choose from, something that is not exactly my style might be perfect for someone I know. The cowls I want to make for me are Gorgeous Gathers (a ruched short cowl), Full Circle (the polka cowl on the cover), and Curled Up in Cable (a big cowl that pairs cables and dropped stitches). 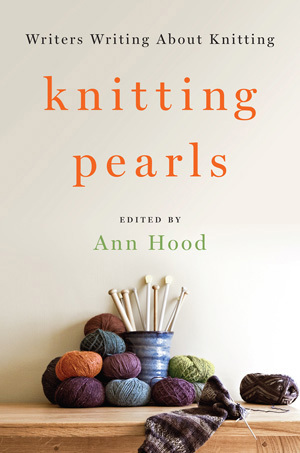 This book is a collection of 27 essays ostensibly about knitting, but more about life’s ups and downs. The essays are not all written by knitters. There are well-known writers like Jodi Picoult, Bill Roorbach, Diana Gabaldon and Laura Lippman; unexpected writers like Stewart O’Nan, and writing knitterati Jared Flood and Clara Parkes whose essay written to her UFOs is one of my favorites in the book. It is a thoughtful collection of essays, but not one I could speed through. I carried the book with me from couch to chair to waiting room, not wanting to read too much at a time, but not wanting to put it down. Almost every essay spoke to me in some way and it wasn’t always the knitting. The book is full of the meaning of knitting, full of love and overcoming; how knitting takes the writers back or gets them through. This is a gem of a collection. There are people who love to teach kids and those who would rather not. Clearly Susan has taught more than just a few kids to knit and she loves it. She gets kids and what motivates them, what they think is fun. 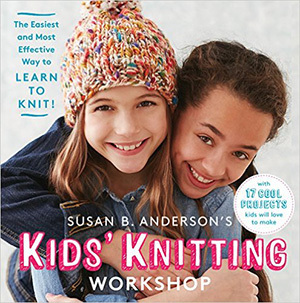 She has managed to write a book that not only teaches kids to knit, but also helps a knitting adult teach a newbie knitting kiddo. The book is broken down simply into five main sections: Get Ready, Beginning Skills and Projects, Intermediate Skills and Projects, and Advanced Skills and Projects. Get Ready is all about the needles, yarn, tools and gauge. The skills and projects sections each have five projects, which is a win for the kids’ I’ve taught to knit – it’s more about ‘what can I make’ rather than ‘how do I get there’. Susan is wise to lure them with brightly colored, cute and cool (do kids say that anymore?) projects. The skills are fed in small bites, one or two new skills that come before and lay the path to making the next project, a really smart way to set up learning for anyone. The illustrations for the skills are clear and large, easy to glance at while working on your knitting and learn the next step. The photos of the projects are happy and enticing, the colors are bright and the projects look like fun. Don’t miss the excellent intro to grown ups about helping kids knit. This is the best how-to knit book for kids I’ve seen in a long time. Erika Knight likes her knitting simple, but that doesn’t mean simplistic. This book is a gentle introduction to beginning colorwork knitting. She takes just a few pages to describe basic color theory, and a few more to describe the colorwork techniques of plying and phasing, striping, slipping stitches, stranding and weaving and duplicate stitch. Whole books have been written on each of those topics, but for this book, the overviews are exactly right. The technique directions have large illustrations and step-by-step directions, easy to follow with yarn and needles in your hands. Each technique in the book is directly tied to several patterns. They are referenced in the how-to section so the knitter has a great visual of what the technique looks like when learning, and can step right up and knit the corresponding pattern. I quite like that way of learning. The patterns are straightforward and have the chic modernity that Erika Knight is known for. Most of the patterns are home décor and accessories, some are quite quick to knit using chunky and bulky yarns, others, like the Fair Isle mitts pattern use a finer yarn for lovely extra detail. 3.6" x 10.0" x 6.9"
At the time of writing, this long-awaited, highly anticipated cross-body bag is sold out, just days after its launch (don't fret: they expect to restock in the next week or so). Its instant popularity is not surprising. Tom Bihn (the man behind the company name) doesn't release products unti he's certain they're just right, and that means it can take a while for fans to get their hands on something they've heard about and wanted for a while, before even seeing it. And once they saw it, they had to have it. "It's the love child of the Swift and the Cafe Bag," says Knittyspin editor, Jillian Moreno, and she's right. This bag takes the cross-body ease-of-carry that the more minimal Cafe Bag is famous for and blends it with the clever storage and stand-upness that we love in the knitter-designed Swift. Let's get down to details. First, this is a shoulder bag, yes. But it also has a slightly wedged design (wider at the bottom) and external piping that makes it hold its shape and stand up on its own. That's my number one demand of any knitting bag. Though it stands up on its own, it's not like carrying a big weekender against your body; it has a sophisticated sleekness that belies its practicality and versatility. Pockets? Are 12 enough for you? I haven't even figured out exactly what will go where when spoiled for this much choice, but I will not complain. There are four o-rings, which allow you to clip in any of the additional pouches, key straps, accessories they offer...whatever suits what you carry and how you want to carry it. There's even a Freudian Slip that will fit -- a reinforced insert with additional zippered compartments and pockets, if you want more organization than the Maker's Bag already provides. 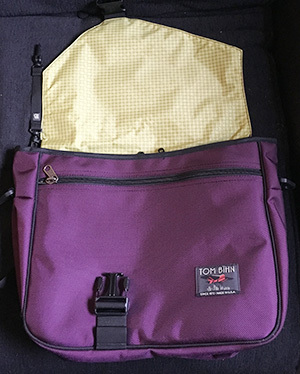 If you look at the pics below, you can see a whole bunch of the pockets, and take special note of the zippered pocket along the whole inside back of the bag: it holds an 11" netbook/laptop with ease! 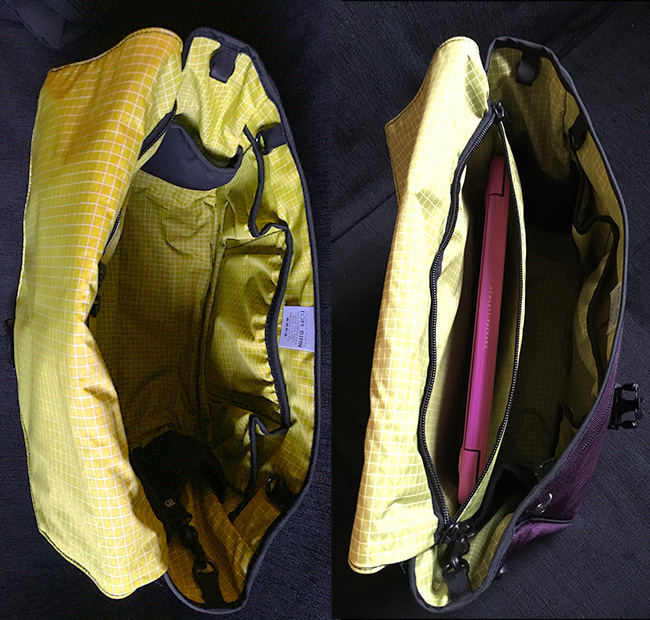 Only suggestion I'd have is to get a little padding around it, which you can also find in the Tom Bihn online store. This bag is called the Maker's Bag, and I think it's a good name. Because I can see this bag working for knitters and crocheters, of course. But it would also be a wonderful bag to take your art or craft supplies to class, a small laptop and all your study materials to school...it's cavernous without being cumbersome and allows for such customization to the needs of any user that I can't imagine anyone who wouldn't love this bag, no matter what they make. 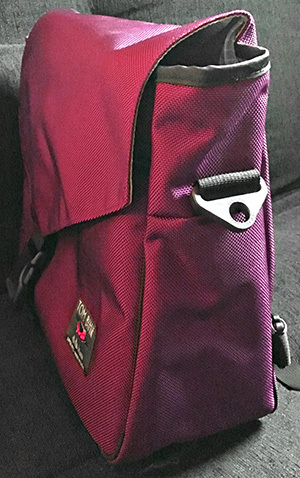 This bag is so feature rich that I suggest you visit the Tom Bihn site to see more photos and their promotional video to get an even better idea of all it can do. This lovely charm necklace has a little surprise. All of the hanging charms are stitch markers that fit up to a US10 needle. A single stitch marker comes with the silver plated necklace. A set of three stitch marker to add on is available. The stitch markers are made from fresh water pearls and crystals. A unique gift for a knitter in your life or yourself. Kate is an artist and a shepherd and she brings a unique approach to what could have been ‘just another overview spinning book’. 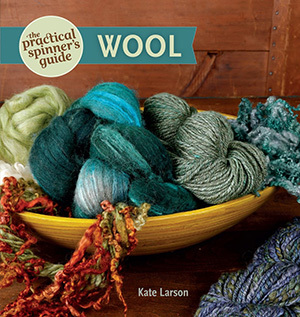 All of the basics are here: breeds, washing and processing, drafting, plying and using handspun, but her love for sheep and her skill in transforming fiber into beautiful objects sets this book apart. Her methods, teaching the techniques of spinning, are sound and clear, and the photographs of her processes are excellent. Her descriptions of different sheep breeds and the thoughtfulness and detail put into that section made it my favorite. Usually I skim through breed information. I read this in detail, stopping to look up and enjoy the resources she added to most of the breeds. In this book sheep breeds are divided in 5 categories, Northern European Short-Tail Sheep, Longwool Sheep, Down-Type Sheep, Medium-Wool Sheep and Fine-Wool Sheep. Within each category are several sheep breeds with the usual fleece specifications, typical weight, staple length and fiber diameter. Then Kate writes about characteristics of the sheep and what their fiber means to a handspinner. This is where her excellence as a shepherd comes into play, most spinning books write only from he point of view of a spinner, but Kate writes with equal measure and a very engaging tone about the sheep as sheep, and the sheep as fiber-bearing animals. Where there are books about a specific breeds she adds those in a Keep Reading section and she also interviews shepherds. Yes, for each breed she interviews a shepherd that keeps a flock known for its excellence in a particular breed. She lets all of the joy and pride the shepherds have for their flocks shine through and it’s wonderful, plus she adds helpful contact information for shopping. There are four sections on Working with Wool, highlighting a project that Kate has spun and knit herself. There are no patterns for the projects, but instead each is an in-depth study of the project. Two or more pages of text cover the inspiration, fiber selection, processing, spinning and knitting and is augmented with two full-page photos. This is the kind of depth that I think is so important for spinners to read: not just the how-to, but a process from spark to finish. This is my favorite spinning book of the year. 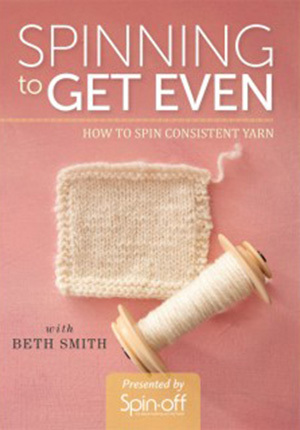 If you are looking to make your handspun yarns more even from bobbin to bobbin and throughout a whole project, Beth Smith gives great tips in this DVD. Following in the footsteps of her mentor, Mabel Ross, Beth employs the tools of treadle counting and measuring distance to get yarns consistent. She shows how to keep yarns even with both woolen and worsted drafting styles and in plying. Even after spinning for many years, some of the suggestions in the video were new to me and they instantly helped the bobbin of yarn I spun after I watched the video be more consistant. Approximately 12" tall, square boxed bottom is 4x4"
I have wanted something like this FOR. EVER. As a spindler first (learning on wheels came afterwards for me), I find it's awkward to carry a spindle with me. It's expensive, as a tiny piece of wood (or other material) goes, often has fragile parts like the hook and the shaft, and is weirdly shaped. But it's the perfect tool for portable spinning. So kudos to Slipped Stitch Studios for designing this wonderful, necessary thing. This is a padded onesie for your spindle(s). You can carry one or two in this cleverly designed origami-ish bag. It has a square bottom, and as you can see below, the onesie snaps allow you to open it out widely for full access to the insides. It's lined with a double row of elastic straps so you can store one or two spindles in the bag and not have them rattle about. 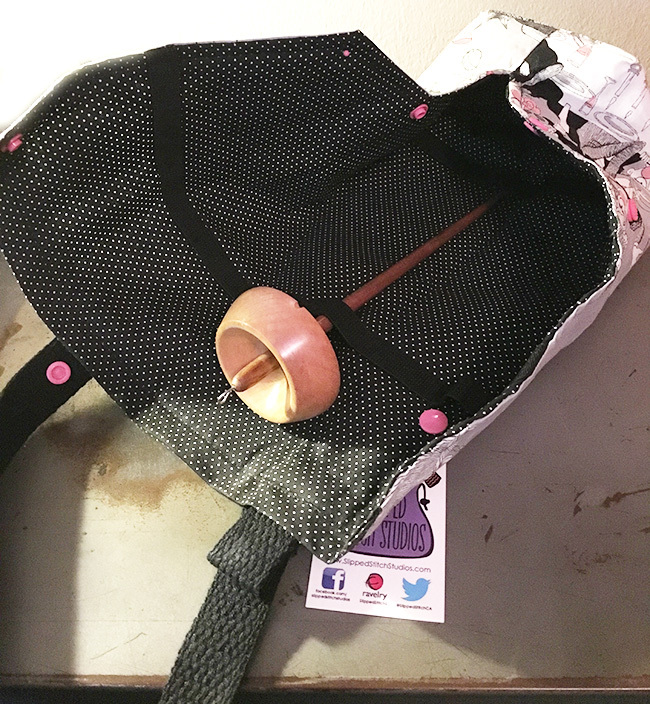 The photo below shows my Cascade St Helen's in there (it's 9.25" long and the whorl is 2.5" across) and you can see how it's nicely secured by the straps; the bottom of the shaft is held above the bottom of the bag, to help prevent damage should you drop the bag. I also think you could use the bag unsnapped as a wee lap cloth to keep the fiber off your lap. The handle also unsnaps so you can attach it to something stationary near you to keep it close by. No zippers or anything else to catch fiber on. Just tiny plastic snaps that work really well and are cutely matched to the fabric design you pick. When you snap the tote back together, you get a slightly pyramidal shape. Lots of fabric choices, including geeky pop culture designs. I love it. This nearly 300-page book on rigid-heddle weaving makes my head spin in the best possible way. 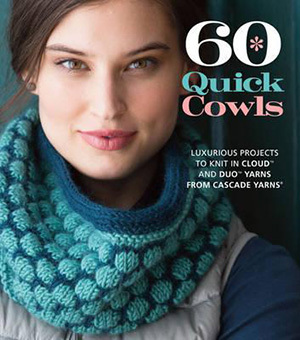 An absolute beginner could use this book to weave their very first scarf. The information and instruction is clear and easy to use. What makes me jittery-excited is that the bit for beginners is about the first 100 pages. The beyond-beginners part referenced in the subtitle is what makes this book fantastic. First there are 30 pages all about color in weaving, including projects to really see how it all works as you weave. There are chapters on hand-manipulated weaves, using floats for intentional texture and a genius heart-stopping section on using multiple heddles to make fine cloth, work inlay or to convert 4-shaft drafts to a rigid heddle loom. There are projects throughout the book, enticing a regular rigid-heddle weaver to step out of their comfort or skill zone. When I got to the part of the book that talked about weaving with handspun, I really knew I was in love. 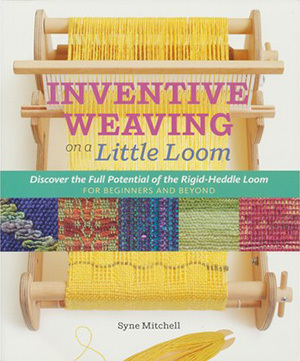 If you weave (or want to) on a rigid-heddle loom, buy this book.